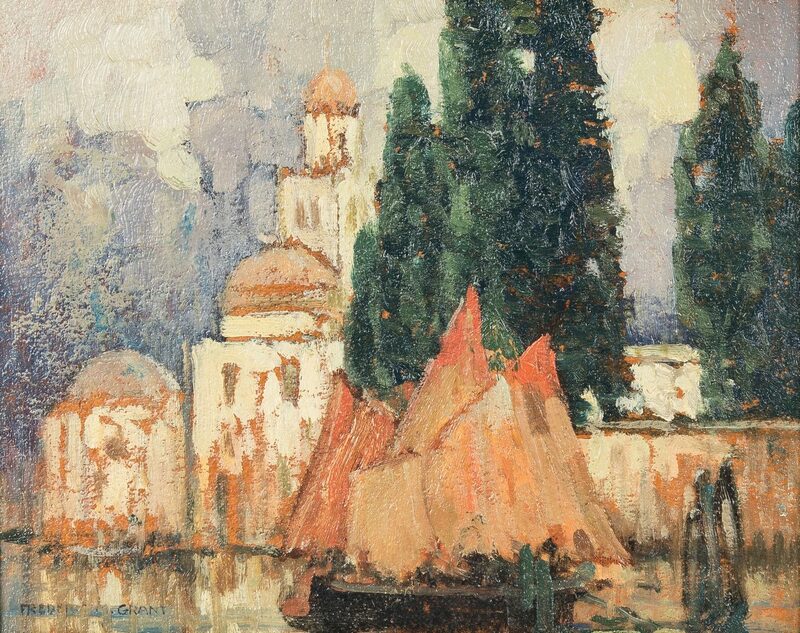 Lot 417: Frederick M. Grant O/B, "Venice"
You are here: Home >> January 26, 2019 Historic Winter Fine Art and Antiques Auction >> Lot 417: Frederick M. Grant O/B, "Venice"
Frederick Milton Grant (California/Illinois/Iowa, 1886-1959) oil on board impressionist painting titled "Venice" depicting a sail boat moored at a dock before a group of domed buildings and cypress tress. 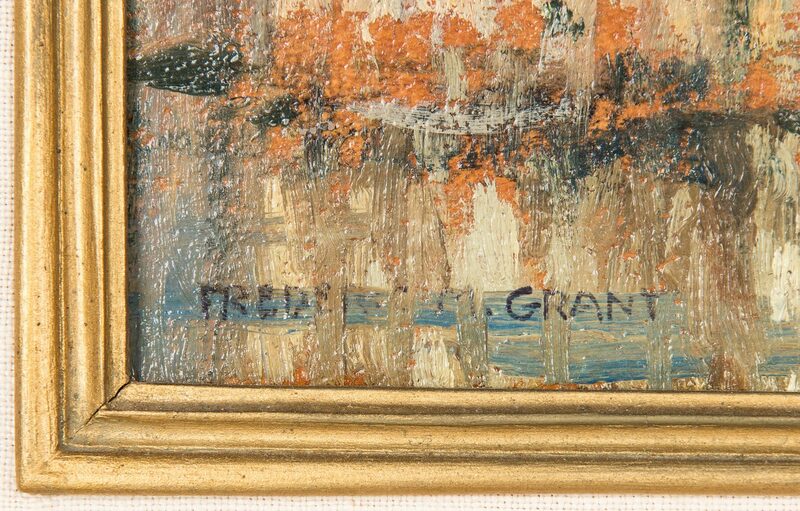 Signed "Frederick M. Grant" lower left. Titled with the artist's name and "South Shore Country Club 1928 Chicago" in pencil with a Kenneth Probst Galleries, Chicago, IL label, en verso. 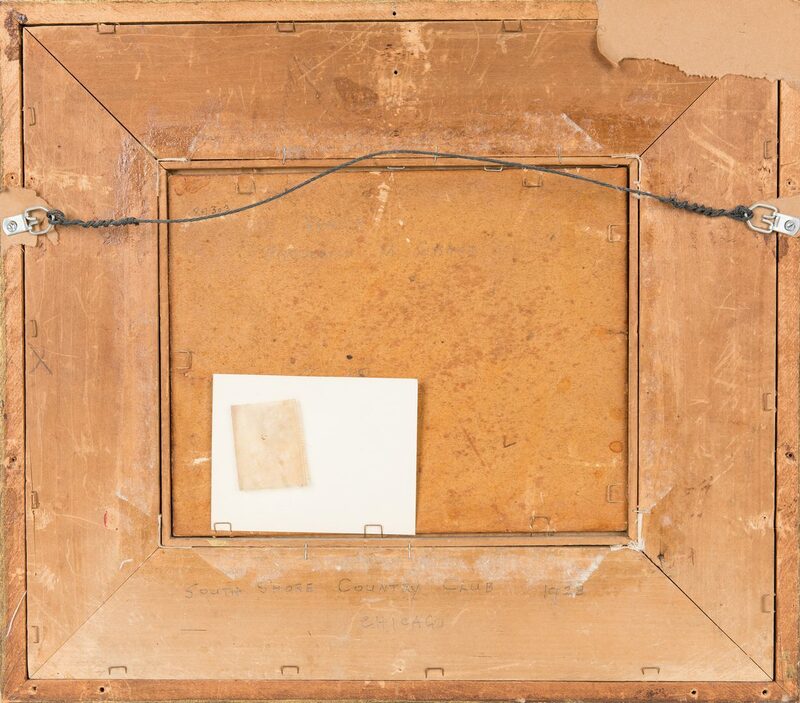 Framed inscribed with possible museum accession or exhibition number "M625-5170-7714" under lower edge of frame. Housed in a decorative carved gilt wooden frame with off white linen and gilt wood rabbet edge. 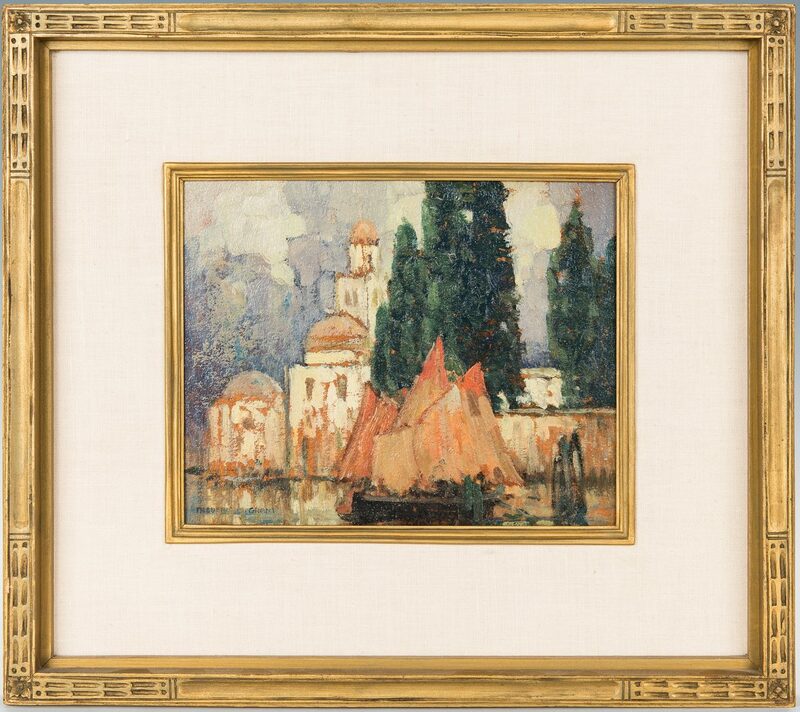 Sight – 7 3/4" H x 9 3/4" W. Framed – 15 1/2" H x 17 5/8" W. Early 20th century. Provenance: the collection of Mr. and Mrs. H.R. Slaymaker, Nashville, Tennessee. Biography: Frederic Milton Grant was born in Sibley, Iowa, into a family of farmers. After initially studying architecture, he went to the School of the Art Institute of Chicago for instruction in painting and drawing. 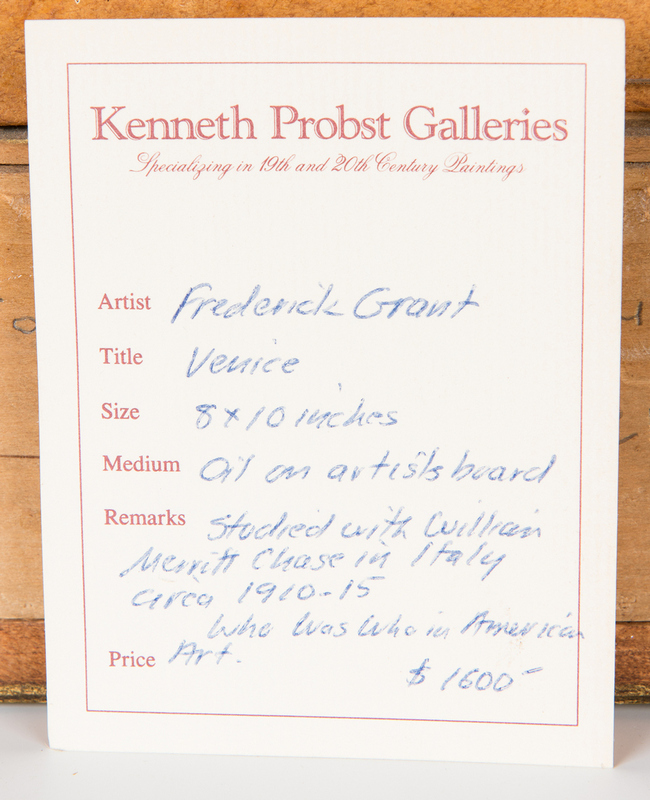 In 1907, Grant traveled to Venice for summer classes with William Merritt Chase, who awarded Grant the annual prize for best summer student. 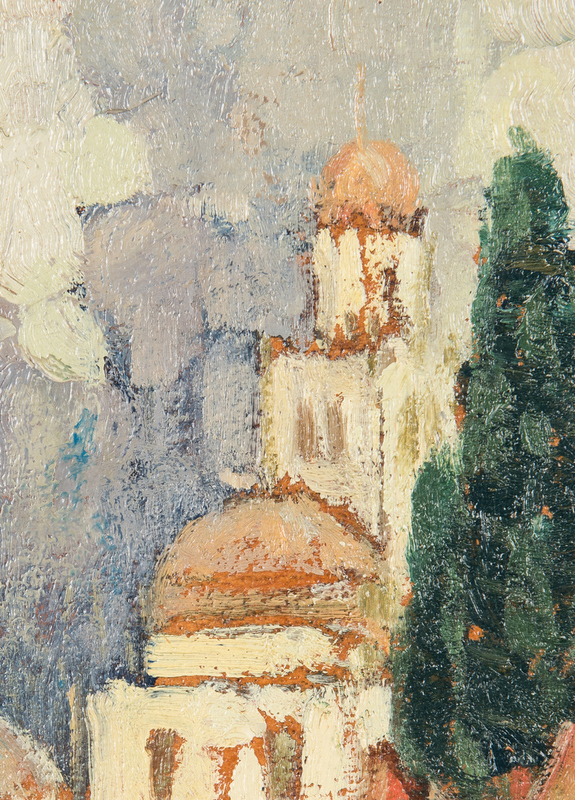 (He studied with Chase again in the summer of 1914 in Carmel, California). 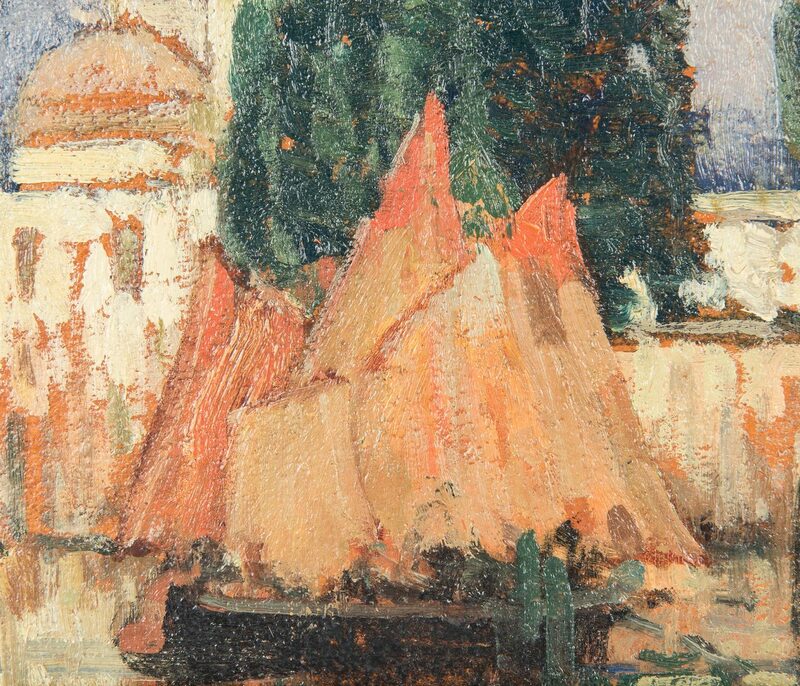 On that first trip to Europe, Grant also visited Paris, where he viewed the work of Monticelli, Monet, and Czanne. 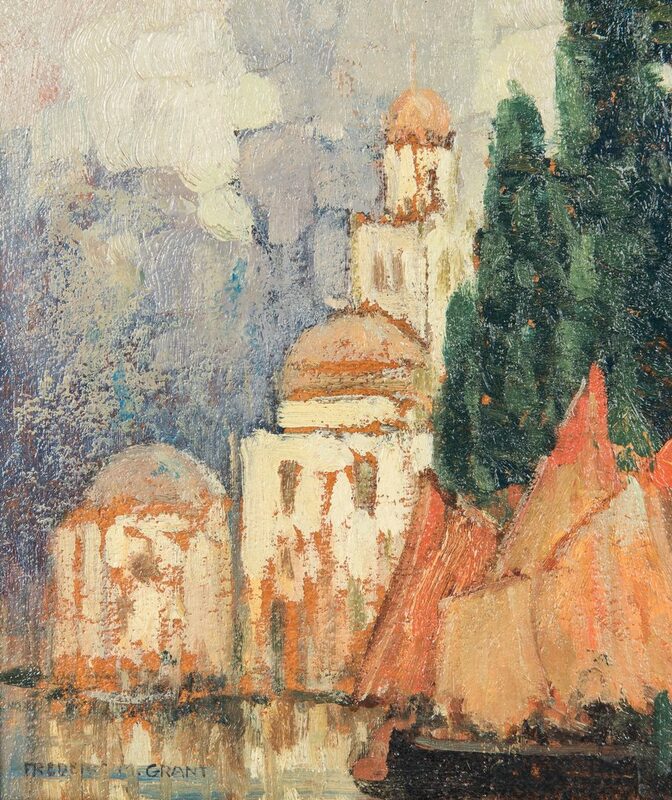 In Chicago, he joined the Arts Club, the Cliff Dwellers, and Chicago Society of Artists. 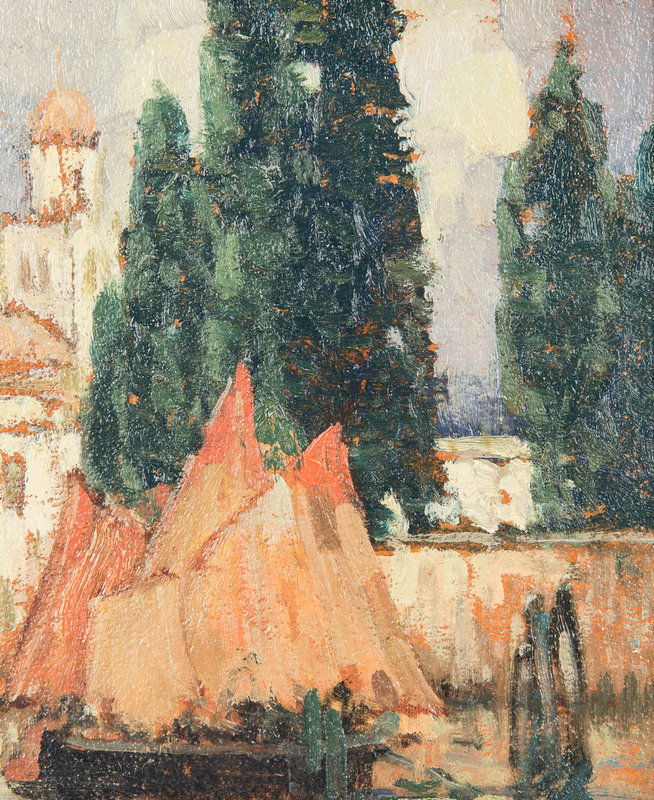 He exhibited at Raymond Katz's Little Room. In 1947 Grant moved to Oakland, California, where he remained until his death on February 4, 1959. (source: http://www.chicagomodern.org/artists/frederic_grant/). CONDITION: Overall very good condition.